Classroom Friendly Supplies is a really quiet pencil sharpener. No electricity required, just the turn of your hand. Huge plus for us...it doesn't get lost. We are forever looking for our little mini pencil sharpeners around here. With homeschooling 6 kids, that is a lot of pencils needing sharpened. We can waste several minutes in a day looking for a tool like that. I LOVE the pencil sharpener designed by elementary school teacher Troy Decoff. It is just brilliant in how easy it is to use, even my youngest age 5 was able to use if for his school work. We attached it to the table in the living room so it is available to everyone. We have sharpened pencils galore on it, all turning out fantastic! I thought firehouse red sharpener would be a beautiful color for my boys and girl. I know she would rather the pink, but the boys over rule her. The sharpener also comes in green, blue and black. 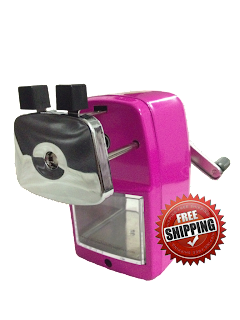 Order a sharpener in Precious Pink and $1 will go to cancer research and awareness! The sharpener stops automatically when you are finished so you don't over sharpen your pencil. No electric noise to interrupt your class. I really do love the retro look of the sharpener as well, takes me back to my own school days. For just $24.99 and free shipping, this would make an excellent gift for a teacher or homeschool family. This has been a wonderful addition to our homeschool, only wish I would have found it sooner!! Here's to sharpening the pencil! I like the blue. 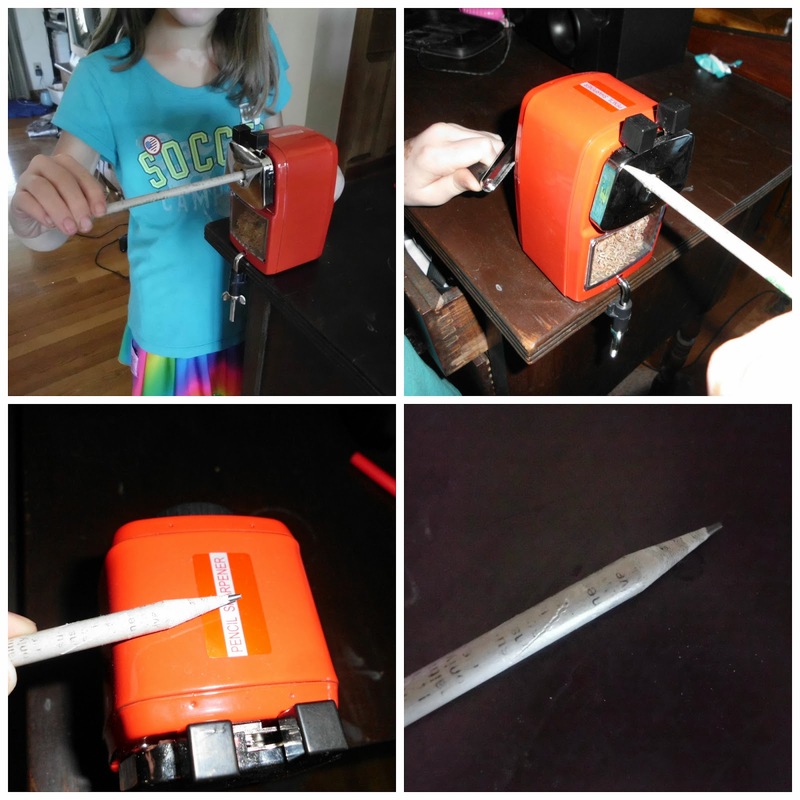 Our household was just saying we need a pencil sharpener. Our other one broke. I would use this in my classroom at school and I like the pink one. I would choose green for my 6th grade classroom. I would love the pink one for my classroom. We would use it at home. I want a blue one. I would use it next to our dining table, because that is where we do our school work every day. I would want black. I would use it at home and we'd love the blue. I have one of these and it is great! Kids come from other classrooms to use it. I would love to have another one to put on the other side of the room - in pink, of course. I would use it at home and I love the Groovy Green one. I would use the pencil sharpener in my den and I would love to have blue.. to get to the point of my pencil this would be grand. We'd use it at home. I like the blue one, but Im sure my girls would like the pink one! I would use this at home for the kids when they are doing homework and for when me and my husband are drawing! I would use this at home in the home office and I would choose the pink one! Normally I would go with green, but in this case I'd pick pink so the $1 donation is made. I'd use this at home with my four boys - we're forever losing those little pencil sharpeners! I'd use it at home and I'd pick the groovy green. I woudl give it to my wife for her classroom. I would say she would probably want blue.